I also write book reviews for Straight Off The Page. 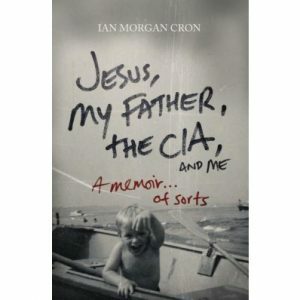 I’m listening to this “memoir…of sorts” via my library’s Hoopla app. 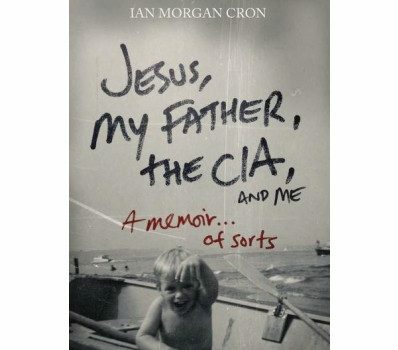 I read Cron’s novel Chasing Francis in graduate school, so I was already a little bit familiar with Cron and had heard good things about his non-fiction memoir. While some aspects of this book are certainly hard (an alcoholic father), I’m thoroughly enjoying hearing about Cron’s Irish Catholic upbringing in the 60s and 70s. Not entirely told chronologically, I’m also appreciating the essay-like structure of it and the author’s way of allowing the reader to make connections and draw conclusions themselves without always having to explicitly state what his experiences have meant to him. Not a light read, but humorous and worthwhile. I snagged the Kindle version of this book after having read and enjoyed Eleanor and Park. While Rowell’s use of profanity irks me a bit (and feels unnecessary), her quirky, unique writing style is thoroughly enjoyable. Like Eleanor and Park, her characters are anything but trite. They are often deeply flawed, but lovable — and believable — people just like you or me. 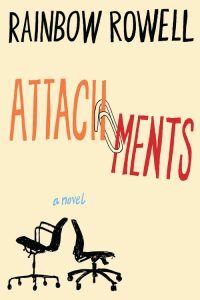 No incredible heroes or impossible heroines, but people you think, “Yeah, I could be friends with you.” Attachments was also a fun look back at the turn of Y2K! 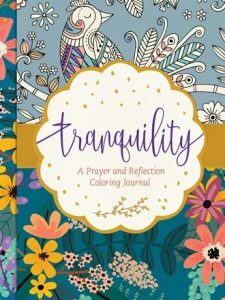 Tranquility: A Prayer and Reflection Coloring Journal immediately sparked my interest. 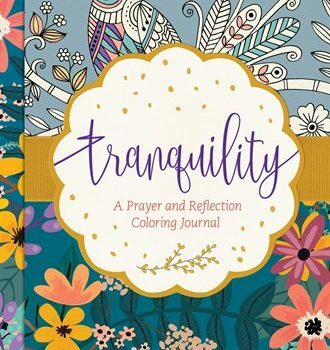 It combines several things I’m interested in at the moment: Prayer, peace, and coloring. As I’m watching my 14-month-old daughter and wondering when she’ll be old enough to appreciate coloring (as though I need an excuse to break out the art supplies), I’m enjoying a foray into the wonderful world of grown-up coloring. The second novel in the FBI Task Force Series by DiAnn Mills, Deep Extraction, is a great follow-up to Deadly Encounter. A pacemaker should have saved oil and gas magnate Nathan Moore’s life. Instead, it provided his killer with a seemingly perfect means of execution. A bombing at one of Nathan’s oil rigs days earlier indicates his death could be part of a bigger conspiracy, a web Special Agent Tori Templeton must untangle. But her first order of business is separating the personal from the professional—the victim’s wife, her best friend, is one of the FBI’s prime suspects. Clearing Sally’s name may be the biggest challenge of her career, but Tori finds an unexpected ally in the newest member of the task force, recently reinstated Deputy US Marshal Cole Jeffers. As Tori and Cole dig deeper into Nathan’s personal and business affairs, they uncover more than they bargained for. And the closer they get to finding the real killer—and to each other—the more intent someone is on silencing them for good. 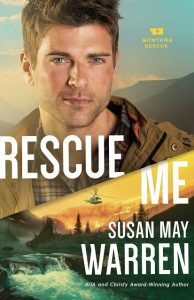 I’m a fan of contemporary Christian author Susan May Warren and her suspense fiction. Her latest series, Montana Rescue, is set in my beautiful state of Montana (I say “my” state because I love it so…and I did live there for four years in college) and my most favorite of all national parks, Glacier. 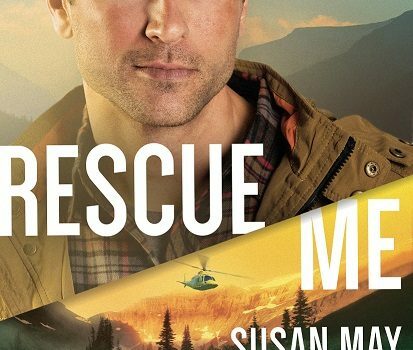 Book one, Wild Montana Skies, was definitely worth picking up for a bit of fun and suspense, so I eagerly awaited book two in the series, Rescue Me, which released this past January. When Deputy Sam Brooks commits to something, nothing can sway him–not just on the job but in his private life. He’s the one who stuck around to take care of his mother after his father’s accidental death. And he’s the one–perhaps the only one–who believes Sierra Rose is the perfect girl for him. 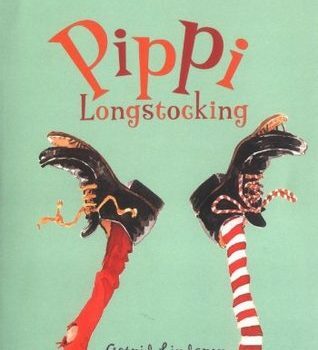 Safe, practical, and organized, she’s nothing like her hippie, impulsive, bleeding-heart sister, Willow. Willow, however, has been in love with Sam Brooks for as long as she can remember. But she wants her sister to have a happy ending. Besides, Willow has other things to focus on–namely, nabbing the job of her dreams. Best thing for her to do is to purge Sam from her heart. I’m always looking for ways to bring big concepts of faith into our home on Fiona’s level. She so young, figuring out how to explain something like a conscience is really hard. In Your Magnificent Chooser, pastor and author John Ortberg brings the concept of will to a concrete level. 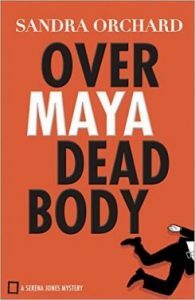 After being surprised by Another Day, Another Dali, I was keen to pick up Over Maya Dead Body, the third book in the Serena Jones Mysteries Series by Sandra Orchard. FBI Special Agent Serena Jones arrives on Martha’s Vineyard with her family, ready for a bit of R & R and a lot of reminiscing as they celebrate the engagement of an old family friend. 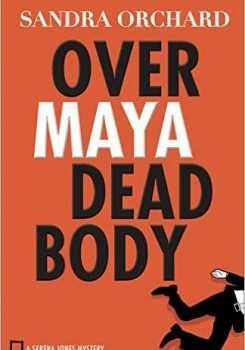 But when a suspicious death tied to an antiquities smuggling ring interrupts her picture-perfect trip, she’s soon entangled in the investigation. Propelled into danger, Serena must stay the course and solve this case before anyone else dies. But just how is she supposed to do that when the two men in her life arrive on the scene, bringing with them a boatload of romantic complications–and even a secret or two? This has been on my TBR list since it first came out, but I never seem to make time for non-fiction. I have found my rhythm though, and as I commute an hour into work every morning, I listen to a podcast or non-fic selection. This is the latest on my Audible player. 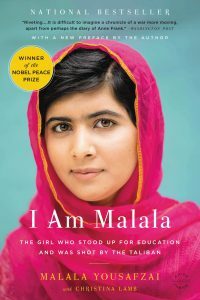 Malala became a household name when she was shot in the head at just 16 years old for standing up for the right of girls to access education in Pakistan. Today, she is a Nobel Peace Prize winner and an advocate for girls education around the world. 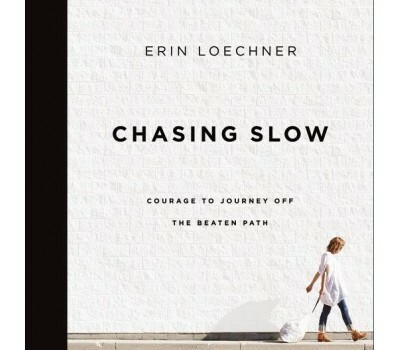 Both her passion and her personal story piqued my interest. I’m enjoying hearing more about her culture, her home in the Swat Valley, her close relationship with her father, and her passion for education. Definitely recommend this one, and the audio version is great! 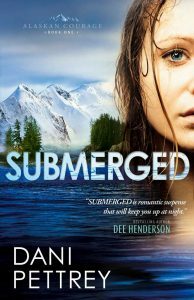 Right now Submerged, the first book in Dani Pettrey’s Alaskan Courage series (you can read my review here! 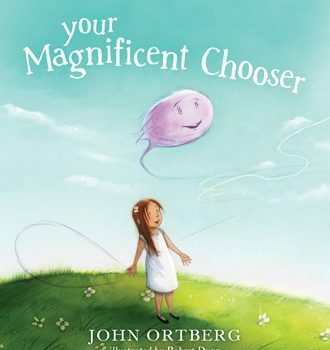 ), is available to download for your Kindle or Kindle app for free on Amazon right now!